We’re so excited for this weekend! What are you doing Sunday? 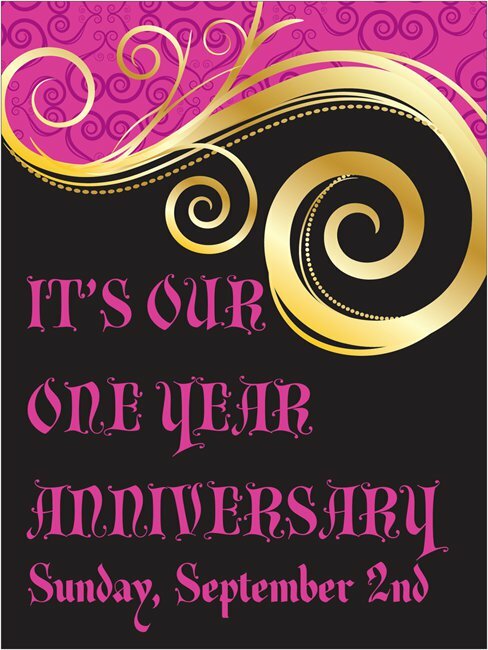 You should stop by the store between 12-5pm to help us celebrate our ONE YEAR ANNIVERSARY! We are located at 138 Newcastle Boulevard in Miramichi and we are going to have free face painting and glitter tattoos from 2-4pm, free cupcakes, cake, and refreshments, free crystals for the kids, and all regular priced items are 15% off!